Window Grid Diversity Antenna, Wheels: 18 Split-Spoke Alloy, Trunk/Hatch Auto-Latch, Trip Computer, Transmission: 8-Speed Automatic (ECT-i), Transmission w/Driver Selectable Mode, Sequential Shift Control and Oil Cooler, Tires: P285/60R18 116V, Tire Specific Low Tire Pressure Warning, Tailgate/Rear Door Lock Included w/Power Door Locks, Splash Guards. 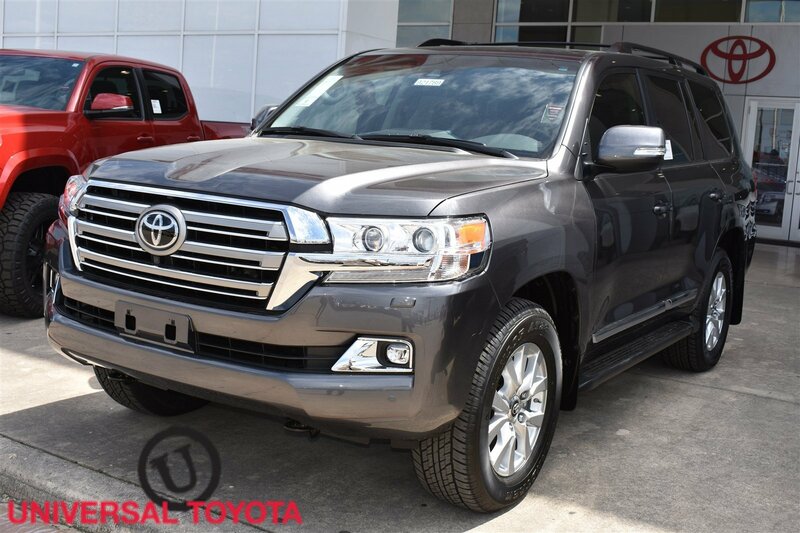 This Toyota Land Cruiser has a powerful Regular Unleaded V-8 5.7 L/346 engine powering this Automatic transmission. 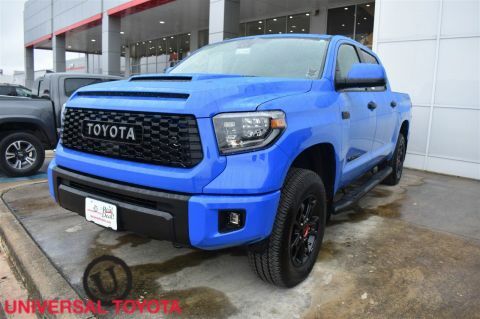 * Experience a Fully-Loaded Toyota Land Cruiser *Speed Sensitive Rain Detecting Variable Intermittent Wipers w/Heated Wiper Park, Single Stainless Steel Exhaust, Side Impact Beams, Semi-Aniline Perforated Leather-Trimmed Seating, Seats w/Leatherette Back Material, Safety Connect Emergency Sos, Running Boards, Roof Rack, Right Side Camera, Remote Releases -Inc: Mechanical Fuel, Remote Keyless Entry w/Integrated Key Transmitter, 4 Door Curb/Courtesy, Illuminated Entry, Illuminated Ignition Switch and Panic Button, Refrigerated/Cooled Box Located In The Console, Driver / Passenger And Rear Door Bins, Rear HVAC w/Separate Controls, Rear Cupholder, Rear Child Safety Locks, Radio: Entune Premium w/JBL Audio & Navigation -inc: 6.1 high-resolution touch-screen w/split-screen display, AM/FM cache radio w/CD player, HD Radio, 14 JBL GreenEdge speakers including subwoofer amplifier, SiriusXM All Access Satellite Radio (3-month all access trial subscription), HD Radio predictive traffic and doppler weather overlay, USB 2.0 port w/iPod connectivity and control, advanced voice recognition, hands-free phone capability, phone book access, advanced voice recognition, music streaming via Bluetooth wireless technology and Siri Eyes Free, Entune App Suite includes Destination Search, Facebook Places, iHeartRadio, MovieTickets.com, OpenTable, Pandora, Yelp and Slacker Radio Access to SiriusXM data services is complimentary for 3-months. See toyota.com/entune for details., Radio w/Seek-Scan, MP3 Player, Clock, Aux Audio Input Jack, Steering Wheel Controls, Radio Data System and DVD-Audio, Proximity Key For Doors And Push Button Start, Pre-Collision System (pcs) and Rear Cross-Traffic Alert (rcta), Power Tilt/Telescoping Steering Column. 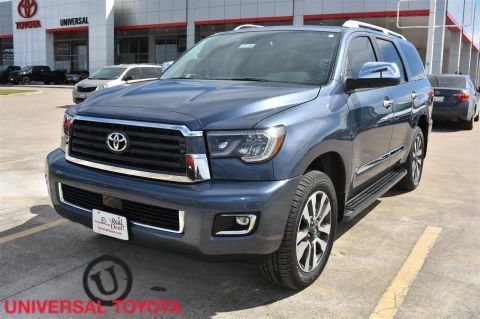 * Stop By Today *For a must-own Toyota Land Cruiser come see us at Red McCombs Universal Toyota, 12102 IH 35 North, San Antonio, TX 78233. Just minutes away!